Call 1-800-450-5319 for more info and a FREE quote from A1 Overseas International on auto transport to Tunisia! Making preparations for an international expedition can be a very stressful situation. In the event that you find yourself booking a flight to Tunisia for an extended period of time, contact A1 Overseas International to have your vehicle imported. By doing a little research, you will discover that A1 Overseas International has provided reliable shipping options for travelers since 1992. A1 Overseas International stays updated on current customs regulations for all of the countries they ship to including Tunisia. Failure to produce specific documents will make it difficult for you to get your vehicle from customs. All vehicles that are shipped to Tunisia by A1 Overseas International must go through customs before shippers can get on the road. Before your scheduled ship date, make sure to document any damages to the vehicle and prepare a folder for all of the paperwork that you will be receiving. Depending on the method of transportation that you purchase, you might have to complete a few additional tasks prior to leaving for Tunisia. Your international shipping professionals will provide step-by-step instructions on how you can have a positive experience. Luckily, the process is simple, but patience and organization are the most important rules for international auto shipping. 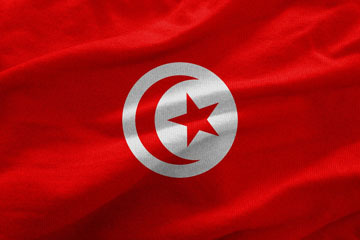 There are a number of destination ports to choose from in Tunisia. Regardless of where your vehicle is being sent to, the rules and regulations are the same for all of them. Your vehicle will have to pass an inspection, you must provide all necessary documentation and the owner must be on time for the scheduled date of delivery.